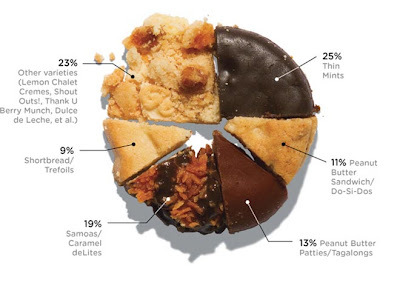 ﻿Today's Wired Magazine blog brings us an important (and somewhat surprising) poll on the popularity of different varieties of Girl Scout Cookies. I see why Thin Mints dominate with 25%, but am shocked that Samoas don't rank up there with the Thin Mints. How can one ignore the awesome lure of the Samoa? Impossible. The fact that Shortbread Trefoils got even a single vote mystifies me. 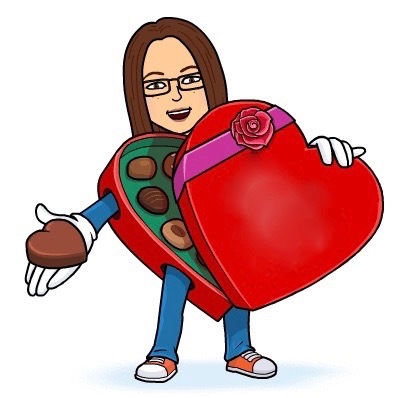 And, p.s., what are Shout Outs? Apparently I have some research to execute! Peanut Butter Patties: may they never become obsolete! How come no one asked ME to vote? And by the way, I have personal knowledge that the founder (CEO?) of Obsessive Sweets thought selling Girl Scout Cookies was tantamount to torture.